So what, did I like about this book? For one thing, the characters. Danny Wright is a very real 17 year old boy from a small town. He is a good guy, has practical goals in life, and has a very strong devotion to his country. His girlfriend, JoBell, is incredibly smart. She is very into politics and the big world outside of Idaho. She has big dreams for herself that are well within her reach. Cal and Sweeney. What can I say about them? We don’t really get to know them as well as Jobell and Danny, but we do see what great friends they are. Becca is a farmgirl, and the quiet collected one of the gang. I also get a sense that she has a thing for Danny, but she’s smart and considerate enough not to pursue it. Danny’s mom is wonderful. She’s so sweet, and seems to always know exactly what is happening to her son. She suffers from panic attacks, and Danny does everything he can to help her, but she’s also strong when she has to be. Plot wise, this is a well crafted story that takes a constantly debated subject and puts it in extreme circumstances in a very possible future. I enjoyed it, and can think of nothing negative to say about the plot. The Constitution is a major theme in the book, and the author does well in integrating it into the story. Each chapter ends with excerpts from speeches and news programs from the book world. It helps add understanding of the situation as well as tension. This book does NOT CONTAIN any *cough* in-appropriate relations, but it does HINT at them. It contains at least Mild Language, I can’t remember exactly. I tend to blank out any bad words, and then never remember if there were any in the first place. This book also describes some sometimes graphic images. Just remember, this book is about shootings, and a stand-off between a state and national government. Who should read this? I think this book can be read by anyone AGE 15 +, but it does lean more towards the boy side of literature. I’m a girl, and I enjoyed it, but that’s because I like that kind of story. EDIT: Sorry, I forgot to mention something in the warning. This book does involve underage drinking. In case I didn’t stress this enough, it is an older kids book. I have found nothing goes according to plan. For instance, the deadline for an application isn’t always the very last day you can submit it. Occasionally the deadline is a trip up for those who don’t read the fine writing. Sometimes the application is due months before the deadline, because a follow up application relies on the first being submitted months before its deadline. That is what I just learned today, and it wasn’t until I started writing this post that I realized its purpose. So when a selective college requires two different forms and applications, one of which is due a month after the other, but to complete the second, the first has to be submitted months in advance, it’s all an elaborate web designed to weed out those who wouldn’t make it through the rest of the application. Boy am I glad I read the fine print. Speaking of fine print (oh how clever of me!) the finest print of all is something I should be addressing. I have really slacked off on my reading the past year. I have focused so much on school and special activities I forgot how to enjoy recreational reading. This was also caused by the lack of a library card. Now that the move is over, and we have library cards again, I checked out a grand total of three recreational books (which is way below average for me. Usually it’s closer to ten…), plus a book on running. The reader in me has been revived! I forgot how fast I can read when I want to, and how I love reading. Either way, my book life has returned to me! I can once again sit in my room (or any where) and read for hours upon hours. This is good news for my school year, since most of it is reading, and the rest is writing reports and essays connected with what I’ve been reading. I’m now confident I can finish reading those raggedy books on my list of books-to-read before-finishing-High-School that I’ve had gather dust on my desk. That is all, you may now go about the rest of your daily lives. Everyone knows what a cookie cutter neighborhood is. It’s a neighborhood where every single house is the exact same model, are all painted similar colors, and looks like something out of a syfy totalitarian government take-over. One of my friends lives in one, and if we forget to bring the house number, we are stuck trying to remember which shade of gray it is, what car they have, and if they have a basketball hoop or not (though my friend is fairly good about putting signs up, and we never actually miss her house 🙂 ). My point is, they all look alike, as if the builders used the same cookie cutter. A cookie cutter character is my name for a character type that is used to much in one author’s stories. A scenario in which a cookie cutter character could be created in would be the following. Say you just finished a draft you’ve been working on constantly for months. You happily lay it aside for a while before editing, and decide to work on a new project. After a while, you go back to your old draft. You slowly begin to realize as you read that your characters seem to behave exactly like the ones in your second story. You’ve created cookie cutter characters. Basically, a cookie cutter character would be one with similar personalities or temperaments to another character of yours in a completely different story. Being an author, you can be rather protective of your characters. To you, each is their own individual person. Luckily, cookie cutter characters are easy to fix as long, as you catch them sometime before your second or third edit. Here are a couple ways to fix those pesky twins who were never meant to be. 1. Change their voice: This one may sound silly, but if you take a cookie cutter of a southern belle, and give her a thick Scottish accent, they’re not destined to be twins for long. It’s difficult to keep a Scottish lass acting like a Southern Belle, no matter how skilled an author you are. Eventually, the character’s new heritage and accent will take affect. 2. Give them an obsession: Make your character obsessed with something their cookie cutter would be totally repelled by. Does one like rap? Great! Make the other absolutely hate rap, and have a heart rooted in classic country. This will open up a whole new character. 3. Move them down the scale: What does this mean? Well, does your queen have an icy temper? Does she simply grit her teeth, and become cold and distant when angry? Make her rebel leader cookie cutter a fiery hot head! Each personality trait has a range of response. If you move a character up or down the scale of one or more personality traits, BAM! Instant new character. 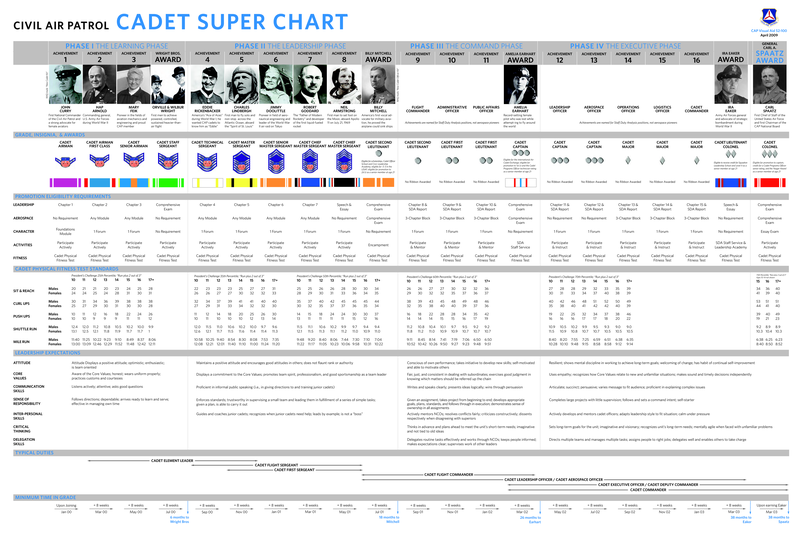 Those are all the brilliant changes I have to suggest at the moment, but feel free to share in the comments bellow what you think is a good tool for dispensing with pesky cookie cutter characters. This week has been an insane week for me… our sewage line collapsed, so we went to a hotel. For one night anyway… but it was fun! We went swimming, had one of those yummy hotel breakfasts… it was cool. Then of course I get back and have to be on with school and applications, but I’m not complaining. I must not complain, because this is what I want to be doing. Anyway, I did get an amazing e-mail while I was on a little mini vacation for 24 hours. I now have over 40 followers! 41, to be exact. Other then that, I finished my two library books. A review of them will posted another time. I then proceeded to start my Dad’s library book he’d finished because I was curious about it. For any who are curious, it’s a political autobiography by a Washington speech writer. I forget which writer, and I’m only up to the very start of his career in politics in the book. One of the best song re-writes ever. And I love how these are just regular boys out on a football field being boys, and having fun goofing off, while at the same time you can tell they really believe in what they’re singing about… it really shows that there are actual young men out there who care about how a girl presents herself. Not only an awesome song (that gets stuck in your head! ), but it has a great message, too. And besides, it’s a hilarious video. Guys do care about modesty. And c-come on, who doesn’t want to see guys dancing in front of a camera? Okay! Time for a What I Am Doing post! I was just to the library so I am suddenly inspired to share what I have been reading/watching/listening to. Surrender by Carmen Marcoux: This is a very Christian book about romance, and how to have a good, healthy, clean relationship in today’s world while following the journeys of several characters. It mainly circulates around the Collins family, a large catholic homeschooling family who live in Saskatoon Canada, and includes a lot of their friends. A Soldier’s Secret by Marissa Moss: This is a book based on the true story of Sarah Edmonds, a young girl who dressed as a man and fought in the Civil War. Incredibly interesting. Violins of Autumn by Amy McAuley : I just got this one from the library. It’s about a young girl during World War II who lies about her age to become a British spy and is sent into the heart of enemy territory in France to help train rebels. The Life of Faustina Kowalska by Sister Sophia Michalenko : A biography of St. Faustina. It includes a lot of passages from her diary, and is very interesting. 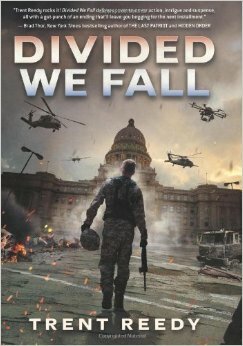 Divided We Fall by Trent Reedy: This is an alternate world story that sounded supper cool. It’s about this boy who enlisted in the Idaho National Guard. His whole life changes when he receives to different orders. one from the Idaho governor to kill the president, the other from the president to kill the Idaho governor. I haven’t started it yet, but I will as soon as I finish Violins of Autumn. Doctor Who: You just had to know that one was coming. 🙂 Just finished season 7 and I am pretty sure I traumatized my younger siblings I pulled down into this black hole of love and misery with me. Pride and Prejudice 2005: I don’t care what people say, I love this movie. I like the music, the costumes, the actors, and the acting. I also love the BBC series, though I regret to say I have yet to sit down and watch it all the way through, because my Mom likes to watch it without me. I just happen to love the 2005 version just as much. Atonement: I have only seen the last half of this, and my Mom and I have been dying to see the rest. I finally got it from the library, and will be watching it some time this week. Desolation of Smaug: Just got this from the library, and I haven’t seen it since December 1 So excited to watch this again! The Odd Life of Timothy Green: Another library movie. I’ve wanted to watch it for a while, but haven’t yet. That is all. Have a blessed Sunday! So the inspiration well has been a bit dry lately, both writing and blogging wise, but I finally decided on a topic. And a new post series! Yes I know I haven’t finished the personality trait one, but I wasn’t feeling inspired to do Meyers-Briggs, and writing the posts are kind of boring me at the moment. So until they don’t bore me, so I know they hopefully won’t bore you, they’ll be on hold while under remodeling. But what is this new series? It will be a post I put out every other week or so. It be either a story about me, and why I believe this, or why I think this way, or why I like this. It will range in topic from fandoms to politics. As politics haven’t changed much recently, and Erin has already covered the most scandalous and speak-out worthy thing recently (check out her post on it here. As it involved something very personal to me, I really recommend looking at it) I shall be covering the fandom end today. No, no, not romantically, but as a person and character. He can travel through time and space, he saves whole races and planets, and sacrifices so much to do so… The Doctor is a hero. And I don’t mean the big strong heroes like Superman who fly around and save the world because they can. I mean a hero in the context I laid out in my post Heroes and Villains. He doesn’t have to save everyone. He knows this. There are times he tries to make himself walk away, say he’s done saving humans. Of course, he never can. He has suffered so much, and has had to make the hard decisions. Not to mention there’s the fact he doesn’t carry a weapon… he carries a screwdriver. That I think describes him more then anything. Well… that and the fact he travels in a police phone box and calls himself the doctor. The Doctor shows compassion to his enemies, and limits the bloodshed whenever he can. He cried over the Master’s death, even though the Master had killed so many, and had nearly murdered billions more. He represents all the best things in the world, while making mistakes along the way, or sometimes edging a little to close to the shadows. He is what heroes in stories should be. But of course, there can only be one Doctor. That doesn’t mean, however, we can’t have heroes who are rooted firmly in the light, and stray only once in a while in a gray area. Characters who don’t compromise their morals. Hmm…. could a more true expression of fandomism ever be shared? I warn you all, this is my typical style of poetry… meaning I don’t follow any guidelines but instead free verse it, rewriting it until it sounds right to me. I hope it’s not a total failure. The moon reveals its heavenly glow. And frees the waiting night. To dance in their circles once again. With their great white beards. And chant their haunting reply. When all the world is sleeping. Of which we will never see? But oh how it is fun to dream. As the tides fall and rise. The sights that go unseen. Hidden from their narrow view. It is such fun to Dream. Leave feedback in the comments. Hate it? Love it? Don’t believe in Midnight fairy romps?